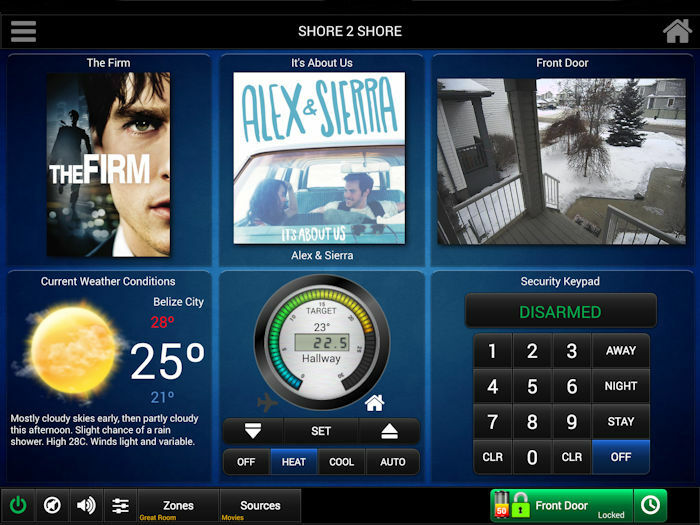 Whole House Control... At your fingertips! Sophie is an innovative solution that gives you a sophisticated home automated lifestyle at an affordable price. Sophie gives you control of all the systems of your home, including lights, devices, appliances, sprinkler system, home theatre, audio/video, security, and climate locally or from anywhere in the world. 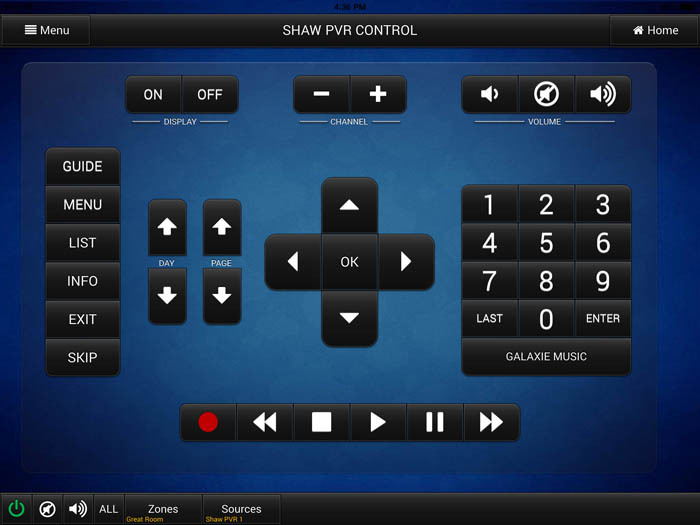 Eliminate your many remotes and take control of your TV’s, Home Theatre, Satellite/Cable Boxes, Apple TV and Blu-ray Players, using a IOS or Android Tablet or phone. 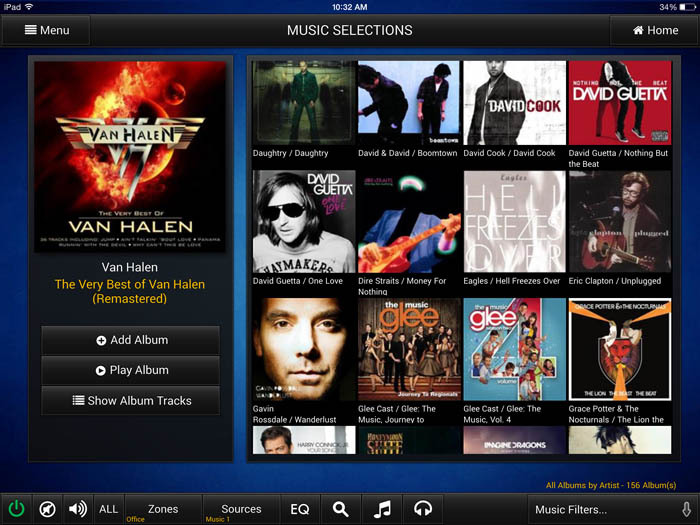 Take control of your music collection and play your favorite tunes throughout your home! Comes with thousands of internet radio stream links to give you access to music from all over the world. With our Tune-in Radio plugin, you have access to thousands of AM/FM radio stations streamed from all over the world. We can deliver up to 3 simultaneous streams of music in your home: Listen to Rock on the deck, country in the kitchen and spa music in the Ensuite! 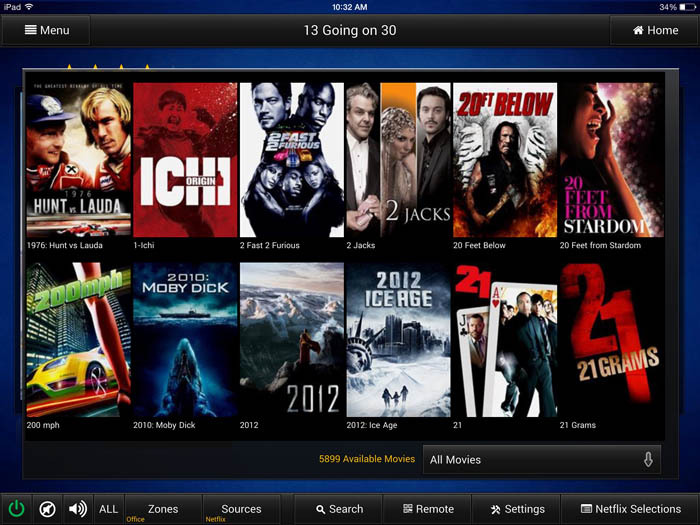 Centralize your Movie Collection and watch a Blu-Ray or DVD movie on any Television in your home, Filter your movies by Title, Genre, Rating, Actor, Director, Theme or Keyword. Access your Netflix account and launch your movies up to four at a time* in different rooms. 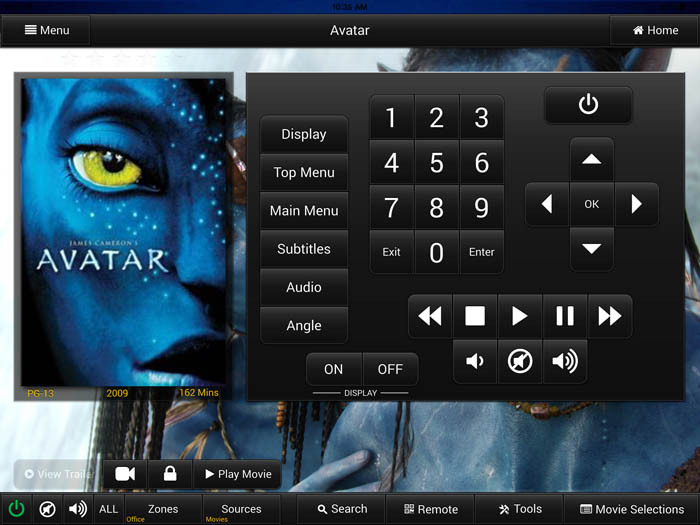 With this powerful application you can browse the entire Netflix catalog and then play any Netflix movie or TV episode on any Television in your home. 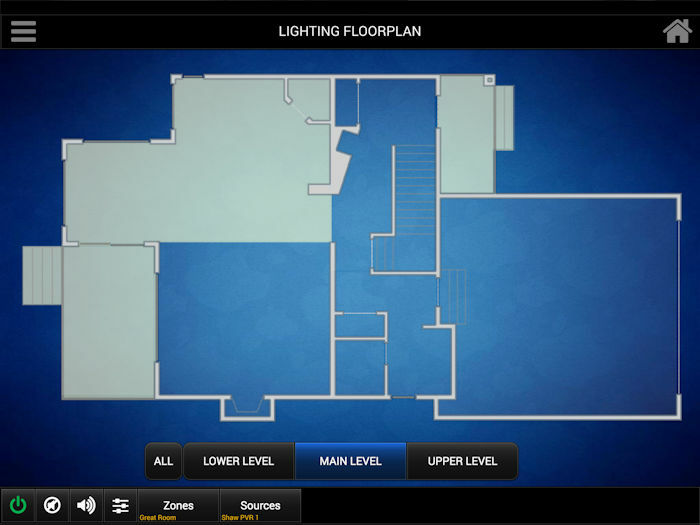 Our design team digitizes your actual floor plan so you can select the rooms you would like to control with the touch of your finger! Turn on/off the whole room, the whole floor, or the whole house with a press of your finger! Control individual lights and set the mood just the way you like it! Remotely login via the internet and control your lights from anywhere in the world! 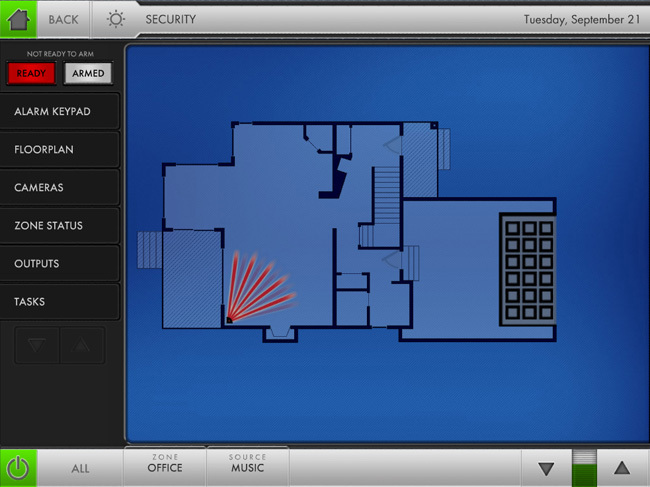 Using your actual floor plan we show you all your security devices including doors, windows, motion sensors, smoke detectors and flood sensors! Arm or disarm your system from the convenience of your living room or via the internet using your secure code. If you have IP cameras, you can see them right on the tablet screen or from anywhere in the world. A powerful and very flexible irrigation control system! 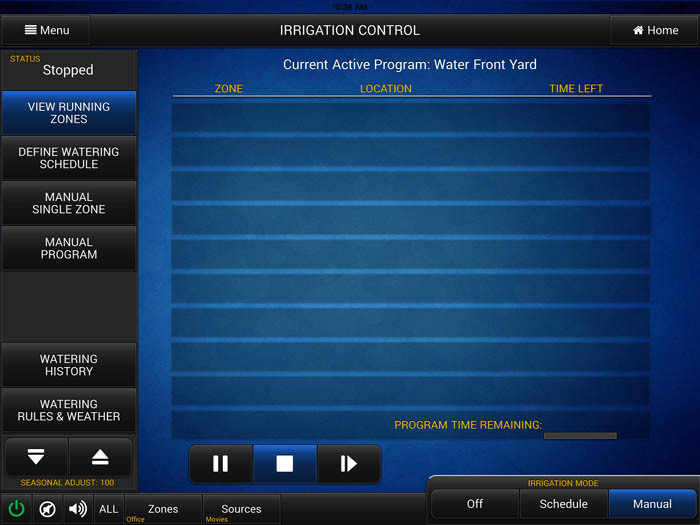 Set up your watering times or manually control a zone with the touch of a button. Easy to use wizard helps you set up the perfect watering schedule to keep your yard healthy. Save water by using the seasonal offset that will shorten the watering cycles. Weather information is an important part of everyone's daily life. Planning a trip to the local store or half way around the world, you will want to know what the current conditions are. Weather maps show you current conditions, weather systems, precipitation and wind chill. 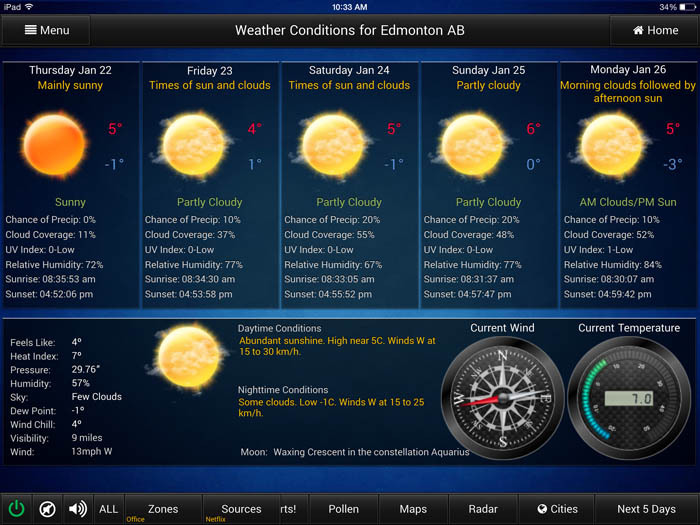 Monitor the weather in up to 6 different cities! 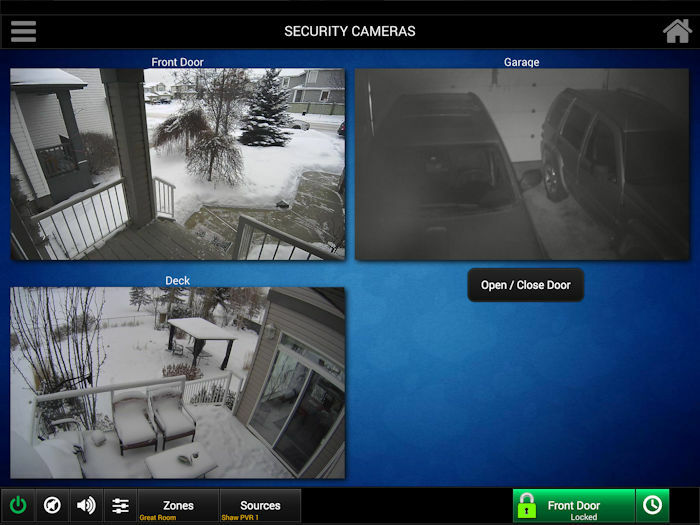 View your security cameras anytime day or night. Whether you are on vacation, at the office or having a coffee, see what is happening around your home. Unlock and lock your front door.